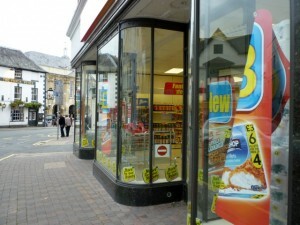 On 9 April 1932, Woolworths opened its doors in Monmouth, in Wales. Today – the 80th anniversary – therefore seems like a good time to dig out the photos from when I visited the store at the end of last year. 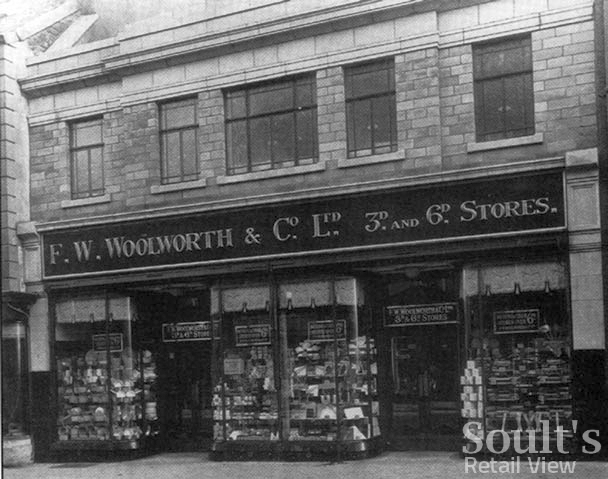 Opened as store number 464, the building at 24 Agincourt Square is one of those instantly recognisable purpose-built Woolies from the chain’s heyday. 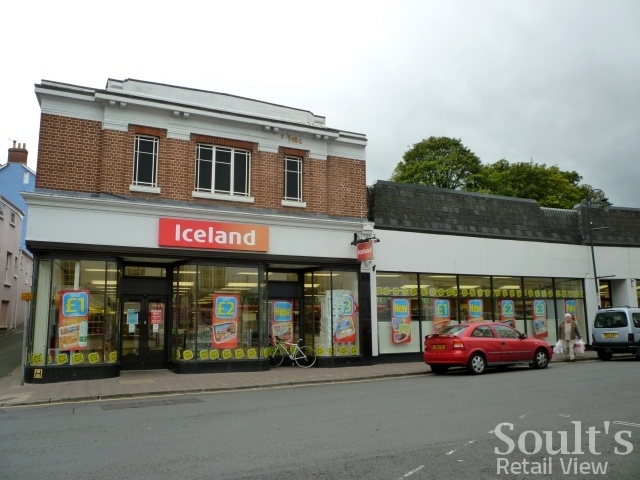 Its appearance is very similar, for example, to the Belper store from 1938 (#725, below) that I visited in December 2010, or the Alfreton store (#684, opened 1937) that I photographed a year earlier. 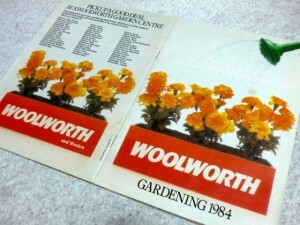 The Monmouth store saw various changes over the years, including a large side extension (in 1964, I believe), and was also one of the shops that gained a ‘Woolworths Garden Centre’ in the late 1970s. All Woolworths stores had a gardening department with seeds and tools at that time, but the additional ‘Garden Centre’ status seems a rather grandiose label for what the 1984 gardening catalogue calls “a wide range of containerised shrubs and trees”. Like many of Woolworths’ experiments of the ’70s and ’80s, however, the ‘Garden Centre’ concept seems to have been relatively shortlived. Following Woolies’ collapse in 2008, the Monmouth store – like Belper – was one of the first batch of sites to be sold, to Iceland, just days after the final Woolworths stores closed their doors. 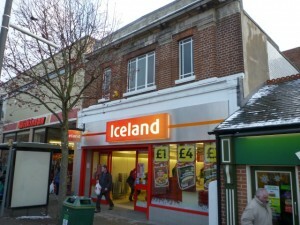 Happily, however, Iceland hasn’t meddled with the superb and apparently original shopfront that Monmouth’s Woolworths managed to retain throughout its lifetime. 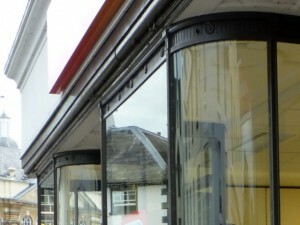 Featuring lovely curved glazing and some cute flower details around the top of the shop window, this type of shopfront was the norm in Woolworths’ early days, with the bays affording plenty of room for the display of goods. Shopfronts very similar to the Monmouth one can be seen in old photographs of Woolworths stores such as Jarrow and Hawick (below). Unfortunately, most of these original shopfronts – including Hawick’s – were ripped out during 1960s modernisations, when the now equally recognisable combination of grey metal shop window and black granite stall riser was rolled out in its place. Today, it’s fair to observe that Iceland’s signage in Monmouth lacks what would have been the understated elegance of the original red and gold Woolworths fascia. 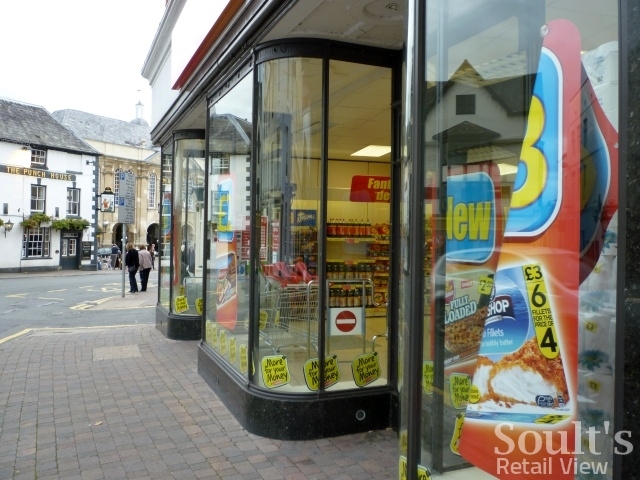 However, as one of the best surviving combinations of original Woolworths building and shopfront, what remains is a more important part of our country’s retail heritage than many people probably realise.